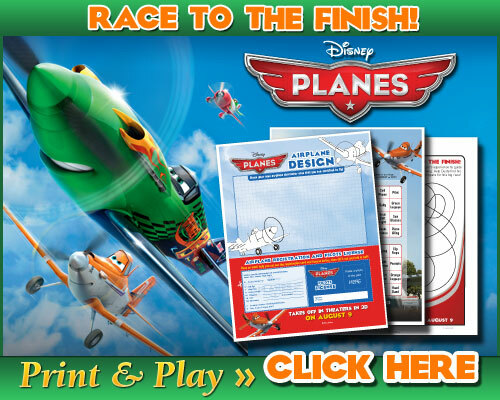 Are you excited about the premier of Disney’s Planes? I know my family is! Soaring into theaters on August 9th, this film is sure to be a hit that the entire family will enjoy. The hold you over for a few more weeks here are a few printables to grab for the little ones that are anxiously awaiting their chance to see the film. These are great for taking along on your next trip or to hand out to the kids when they have the summertime blues. Connect with Disney’s Planes to stay up to date with the latest on this film that is flying into theaters everywhere on August 9, 2013. Totally printing these off for my nephews to keep them busy when they visit! My little boy is REALLY excited about Planes!!! My girls love these printables! Thanks for sharing! Printing these right now for my son, thanks! Just saw the first preview for this on TV. Exciting! Thank you so much! My great-niece will be so happy when she comes to visit! Thanks for these printables. My kiddos will have a blast with them.